BAD BLOOD – As Fallon (Elizabeth Gillies) prepares for the launch of Liam’s (Adam Huber) book, Liam’s mother (guest star Sharon Lawrence) returns to Atlanta with a shocking announcement that could derail Fallon’s plans with Liam. 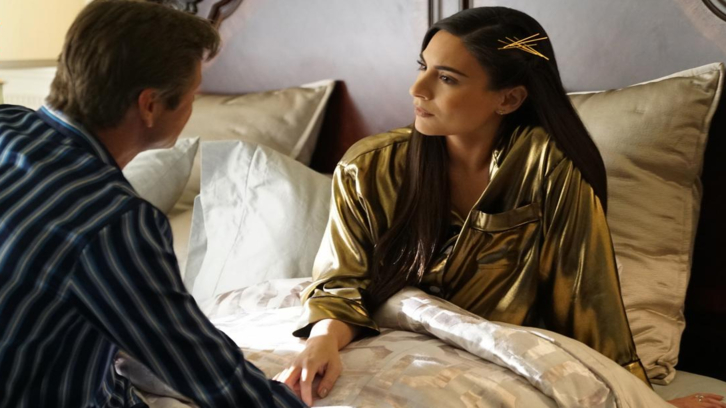 While Blake (Grant Show) and Cristal (Ana Brenda Contreras) partner up to pursue a nefarious new scheme, Jeff (Sam Adegoke) and Culhane (Robert Christopher Riley) get closer to exposing Blake for his illicit activities. Maddison Brown and Alan Dale also star. The episode written by Jay Gibson and Francisca X. Hu, was directed by Matt Earl Beesley (#219). Original airdate 5/3/2019.